John L. Sinclair and his wife Evelyn Fox lived in the residence (which is now the Ranger Offices) from 1947 until 1962. The house consists of a living room, kitchen, bathroom, and two bedrooms. 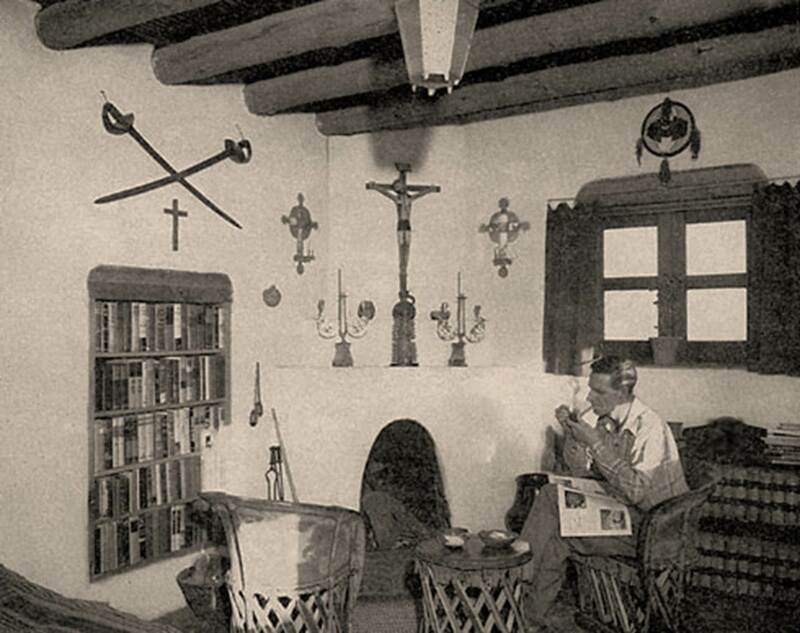 The photograph is courtesy of New Mexico Magazine shows Sinclair’s floor covered with Navajo rugs, Spanish and Native American artifacts on the walls, tables, and a corner fireplace hearth. Equipale furniture (pigskin stretched on a wooden frame, typically made in Mexico) graced a corner of the living room, and books filled the inset bookshelf. All of the architectural details are still intact today.